On paper, the plot of Prisoners is nothing remarkable: two young girls from two good decent families go missing on Thanksgiving Day with an odd ball suspected. With time ticking by, the families become increasingly desperate to find their daughters alive while a young detective, who has never not solved a case, tries to find the little girls. In the case of Prisoners however, Aaron Guzikowski's (Contraband, 2012) script, helped by a truly stellar and Oscar nominated rich cast, is consistently mercurial and arguably has the rare quality of a Hollywood 'whodunnit' that is unpredictable. 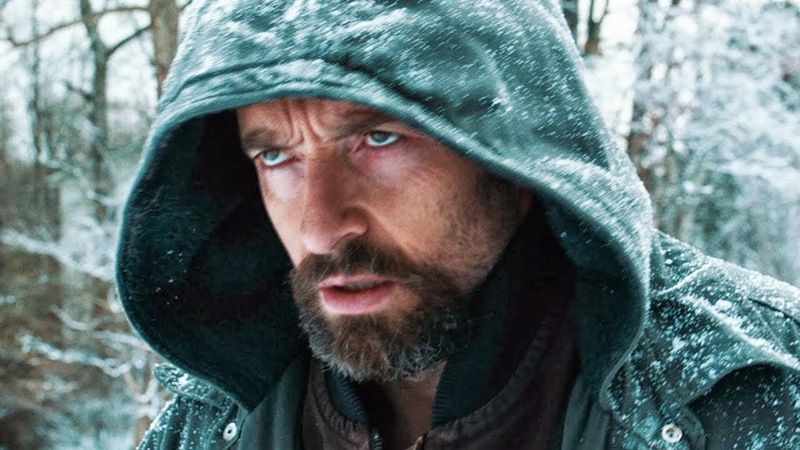 Hugh Jackman is Keller Dover, father of one of the missing girls. He is a Bruce Springsteen, all American decent sort of man supporting his family though with an unease to him leading to the likes of a home storage Apocalyptic back up plan. 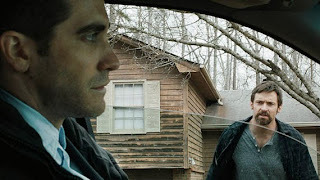 Jake Gyllenhaal is Detective Loki brought on to solve the case. With distinctive tattoos and a past barely hinted at, Loki seems an unusual presence in suburban middle America. What director Denis Villeneuve's film does so well is to bring an unsettling element to all of the film's characters be it more obvious in Paul Dano's suspected Alex Jones or how quickly the parents of the other missing girl Nancy (Viola Davis) and Franklin (Terrence Howard) will compromise their moral compass when faced with extreme emotional pressure. The cast is filled out with the ever reliable Maria Bello as Keller's wife Grace and Melissa Leo as Holly Jones, the aunt to Alex initially arrested for the girls' abduction. Direction and misdirection along with the plausible flawed nature of all the characters creates more and more tension within the film as whispers and hints are interpreted by characters weighed down by the gravity of the situation and the relentless tiredness felt over the film's week long setting. The fabric of society including Christian beliefs, law and family obligations are all subtly questioned in Prisoners as people become literal prisoners or prisoners of belief systems. Jackman brings a settled down Wolverine intensity to Keller while Gyllenhaal engenders his Loki with an intelligence but blink prone tiredness that allows for a realistic uncertainty about the case's outcome. What begins as a straight Whodunnit turns into a Horror film as the psychological elements of the film begin to be resolved and the nature of the film's central theme of monstrosity is revealed. Tense, taunt though with a running time of two hours and 33 minutes and with a cast all bringing their talents to the table, Prisoners is possibly one of the best films of 2013.